Perhaps more apt to say those people. As in loud-mouthed idiots. "Jango? That can't be your real name, and you can't actually believe these stupid things, can you?" 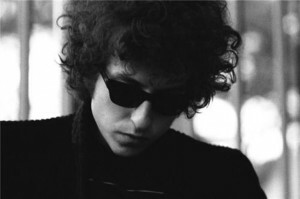 The Gothamist has the full story on Bob Dylan’s appearance on WBAI radio in 1966 where he decided, against his best judgement, to take calls live on the air. It goes about as well as you’d expect. It’s the mouth-breathers you’d expect. What’s remarkable, though, is how similar it is to what you read in the comments section of blogs and online articles; people who don’t really have a particularly unique perspective, solid critique, or original idea in their heads, but convince themselves otherwise before dialing in to the station. And forty years later, their children and grandchildren are leaving comments. The times, they aren’t a-changin’ all that much.